Was Hillary Clinton an unwitting pawn? For over 10 years now we have pinpointed the Wall Street cartel and how they have, in fact, worked with the Regulators who are supposed to be policing them and pointed out that it’s very similar to the way Don Corleone held all the judges and cops in his back pocket. 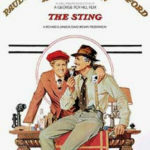 However, in light of recent events in Washington regarding the FBI, NIA and DOJ and their spying on the Trump campaign, we must add another classic movie to our list of codes to live by: The Sting. This classic movie from the 1970’s detailed grifters, who pulled con jobs on everybody. Robert Redford and Paul Newman were the lead characters and employed dozens of people to pull off their con job of a big mafia boss who was made to believe there was a real betting parlor for him to lay $100k on and that the con man was shot dead right before his eyes. The key to the con job was no matter what you kept the con going, and no matter what you faced, you lied strait to the face of whoever asked. In some ways this appears to be exactly what our three most powerful law enforcement agencies have done to President Trump and Hillary and instead of arguing politics, the SIPA once again will use our three basic principles and then throw in “The Sting” as an added bit of fate. Let’s be realistic, Trump was vowing to ‘Drain the Swamp”. Most Americans have no idea how much money is spent in Washington. There are millions and millions of government workers, lobbyists, law firms and associated people on the payroll. There is a reason the housing prices are through the roof and there are more lawyers in D.C. than anywhere else in the world. D.C. establishment on both sides do not want to hear that they will be made obsolete or that there will be hiring freezes. These are career politicians and law enforcement people who make not just big money, but retire with multi million dollar pensions. This is why for some ungodly reason, the government can never shrink or decline. Even during the great recession of late 2007 through 2010, the number of government workers increased, despite less need for services. In addition, Wall Street firms control Washington through cabinet members, lawyers, the SEC and FINRA and along comes Trump who doesn’t need their money and suddenly the large firms are panicking. Sure, Trump did hire a former Goldman exec to be Treasury Secretary, but for the most part he has shunned much of the cartel and that had to worry them. They wanted somebody in office they could control through the purse strings like the past four presidents. What was scary to them about Trump was that if he wouldn’t bend over so he could accept their money, they could at least influence and control him through large Political Action Committees (PACs) that would damage him so greatly he would cave and do what they wanted, yet despite this effort during the Republican primaries in 2015 and 2016, it had literally no effect on him. As the whole “Spy Gate” has unfolded, it’s apparent that the deep state establishment was petrified of Trump. More importantly, the release of the dates of meetings with informants who spied on Trump is proof positive that the D.C. Establishment (that includes Politicians from left and right, DOJ, FBI, NIA, N.Y. Times, Washington Post, CNN, MSNBC, Main stream media, Hollywood and bloggers) was involved in a coordinated lie or sting operation. Use your common sense and ask yourself this: If you knew Donald Trump had no chance, why would you expend capital and informants on him? In April 2016, Before Trump even secured the nomination, they began setting up gyro boy George Papadoplous with an FBI informant who began leaking Hillary e-mail info to him. Soon he was blabbing away to an Australian official (who most likely was on the FBI payroll) in May 2016 that he knew Hillary’s e-mails were stolen and suddenly in June 2016 the DNC announces a hack. In July a group called Fusion GPS, Funded by Hillary’s DNC, creates the famous report that is used to get warrants to spy on certain Trump players. Why? Take a deep breath and ask yourself why? For over a year we were told that DONALD TRUMP WILL NOT BE PRESIDENT!! Click here for a reminder. Over and over his campaign was a running joke and Trump was subjected to daily scorn, ridicule, jokes, hatred and even had organized protests of his speaking events, even though he had no chance of winning. There was a well funded and well organized PAC that literally made sure there were anti Trump protests everywhere he went. Polls from every news agency and paper showed that he was buried and had no chance, so why the need to get into his campaign and get a warrant to spy on him? We believe that the answer to this question is that the “Sting” was on and the American people were lied to and mislead in one of the most organized ways we have ever witnessed. These are smart people, despite their ultra radical beliefs and thirst for power. They were doing polling and they lied to all of us about the polls. It’s our belief that they knew in real polling Trump was winning as early as 2015 and they began their take out plan. Why else would everyone remind us day and night how awful he is and how he had no chance? Why did virtually every news outlet hang on his every word, flub, misquote or tweet for so long? They were directed to because the real insiders knew. In 2016, why not send an informant to get close with Senator Ted Cruz or Senator Marco Rubio, who were considered serious contenders to win the nomination or be voted for on the convention floor? Instead, we are to believe that the guy who has no chance to win was the one that had to be spied on? These elitist knew as far back as 2015 that the Trump movement was real and began moving against him. Almost every single poll was fixed in coordination with the press and literally every talking point was the same on every left leaning news show or publication. That is not a coincidence, this is the Sting being put into place. We believe there was real polling going on that showed Trump was not only capable of winning, but was winning and it appears the only person who didn’t know this was Hillary Clinton. Americans were screaming and crying in the streets on election night in 2016 because they could not understand how Trump could possibly win. Meanwhile the Washington elite knew this was a possibility all along and that is why they were all over a candidate that had “No chance of winning”. Hillary still has no clue why she lost and we believe it’s because she believed the complicit press. This might explain why she took literally two months off from appearances and didn’t bother to visit key states like Michigan and Wisconsin. Hillary was just a puppet. This is why she was pounding bottles of wine on election night and crying in her hotel instead of conceding. For a few years now it appeared that Hillary and the DNC was running this show and was responsible for the disappearance of e-mails, corruption, Fusion GPS, and digging up dirt. But to quote the great Don Corleone in The Godfather: “Hillary is a pimp, what I didn’t know until this day is that it was Clapper all along “. Click here for reference As we look at Hillary now and see her on her book tours, it’s pretty obvious she is a little delusional, suffers from memory loss and puts blame on everyone. Meanwhile Clapper is running around from show to show trying to portray himself as a truthful guy who just wanted to protect America and Donald Trump from the evil Russians. He enlisted former CIA director Brennan and former FBI director Comey to also hit the book and speaking tour. Going back to our common sense principal, can you remember a time when the three heads of our spy and enforcement agencies were so public about what they think or what was going on less than a year after leaving office? Most officials in these capacities lay low for awhile for fear of retribution from people they convicted, spied on or in the case of Brennan, tortured. Not these three amigos, they are front and center on every news show with the same talking point. Clapper is the ring leader and has been caught in a myriad of lies that is now beginning to implode on him and Comey, yet his Sting operation remains in place with the media and politicians who keep telling the lie. Our Government agencies that were not even provided for in the constitution, have taken over our government and there is a deep desire to cover it up. However, they have left the shadows of the spy world and moved out into the daylight and this is why they are very vulnerable. They are running around trying to cover up for three years of bad acts and the more they talk the worse it seems. Perhaps when the truth finally comes out Hillary will finally have her answer to the question “What Happened?” We believe it’s quite possible that not only was Hillary unaware of this set up operation or the real polls and that explains her lazy campaign approach.